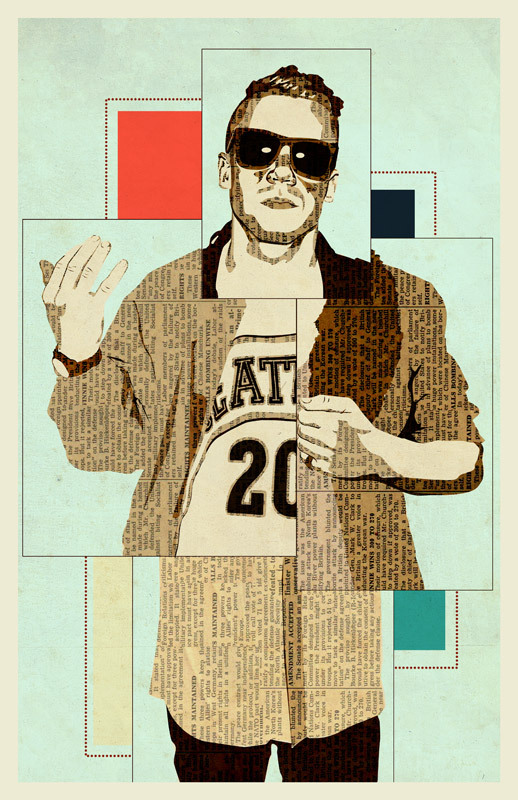 New print, "Macklemore" — The portfolio and artwork of collage, cut-paper, and illustrator Kyle Mosher. Here's my newest print, "Macklemore." When selecting a person to create a portrait of I look for someone that not only captivates an audience with their music, but also with their style and personality. I think Macklemore is a really unique and interesting cat. He embraces who he is and you can hear that in his music. I think his style is really interesting and super rad and it's an extension of his personality. Musically, his lyrical prowess speaks for itself. Everything I preach and believe in can be summed up by what makes Macklemore, well, Macklemore. Peep the print below and enjoy. You can pick it up on the Shop Page here.